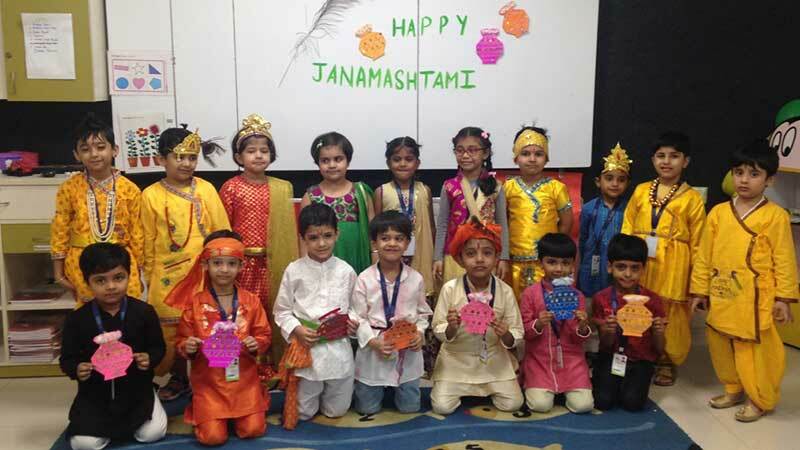 The students of EY and Grade III C of MRIS-51, Gurugram celebrated Janamashtami through a special assembly. 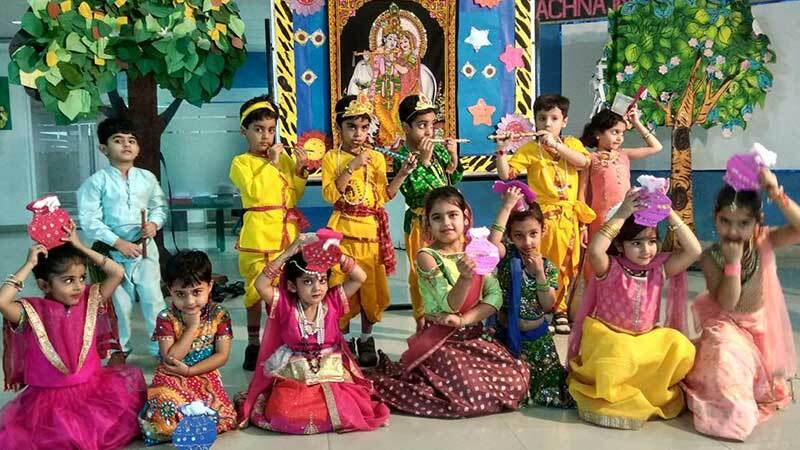 A skit on the birth of Lord Krishna was enacted by the students illustrating the fact that whenever there will be a dominance of violence, “He” will reincarnate to destroy the evil and save the good. It was nonetheless brought to life by the scintillating dance performance that represented Krishna’s Leelas. A mesmerizing medley dance was also performed on the songs such as “Maiyya Yashoda”, “Gokul dhaam biraj ka waasi” and “Wo hai albela” by little Kanhas and Radhas. All the students grooved on the beats of Murali and chanted “Govind Bolo Gopal bolo”. 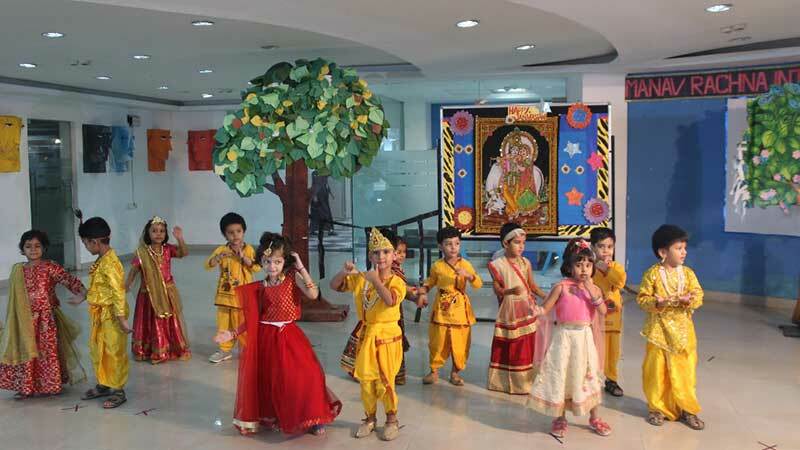 This was followed by a group song performance in the praise of Lord Krishna. The assembly concluded with a teacher’s talk on the significance of Janamashtami as a festival which encourages goodwill and togetherness.